There are over 200 identifiable breeds of goat in the world with some 13 in the UK. Cheese and yoghurt, prime lean meat and cashmere and mohair fibre are all products of this unique species. 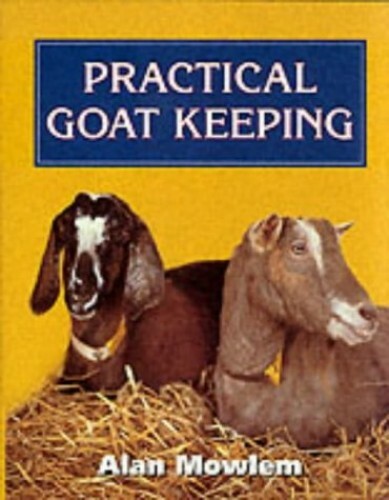 In this illustrated manual, the author provides essential information for successful goat keeping. There are well over 200 identifiable breeds of goat in the world with some 13 in the UK as well as many cross-breeds. Distinctive cheese and yoghurt, prime lean meat and highly prized cashmere and mohair fibre are all products of this unique species. In this illustrated manual, the author provides essential information for successful goat keeping. In addition, Hilary Matthews has written a chapter on showing which should give the reader an insight into the world of the show ring. Subjects covered include: characteristics and breeds; breeding and reproduction; kid rearing; milk production and dairy work; goat fibre and production; health and disease; showing; and profitable goat keeping.